Making your own baby food isn’t as difficult as it sounds. A lot of parents are put off the idea of making their own because they think it’s going to be a long, tough process. However, many baby food recipes are super-quick to whip up, so you don’t have to worry about spending hours in the kitchen. There’s a lot of benefits that come from giving your little one homemade food. You don’t need to switch to giving baby an exclusive homemade diet – even just switching to homemade food a few times a week will provide numerous benefits. So, if you’d love to give making your own wholesome baby food a try but you’re stuck for ideas, below you’ll discover some of the simplest, tastiest recipes to try out. If you’re a beginner baby food cook, cereals are often a fantastic first recipe to try out. However, many tend to contain rice which can be a potential safety hazard. So, switch up rice for oats with this delicious breakfast recipe. The oats contain a good source of fiber, as well as vitamins and minerals that will give your baby the best start to the day. The prunes are also an excellent source of fiber and they sweeten up the recipe to make it more appealing to your little one. The full recipe can be found here. It does suggest using honey as a sweetener, but keep in mind this is only for babies older than one year of age. You can also tweak the recipe by switching prunes for bananas. If you’re looking to create something really healthy, yet delicious, this carrot and yam puree is highly recommended. It only needs three ingredients so it’s really affordable to make too. This great recipe contains a high level of Vitamins A and C, along with a good dose of fiber. All you need is carrots, yam and water. You can find the full recipe here. Keep in mind that the puree is going to need to be super-smooth with no hard lumps. This recipe can continue to be used as baby grows, by simply adding it alongside other ingredients such as burgers and pizzas. Another super-simple recipe for beginners, pea puree goes down a real treat with babies. You can even use frozen peas which not only makes it more affordable, but more convenient too. It’s surprising just how much nutrition peas contain. Along with Vitamins A and C, they also boast high levels of protein, iron and calcium. You can find out how to make this puree here. The key is to strain the peas well to ensure a smooth consistency. Spinach is a super-food, packed full of folate, iron, calcium and Vitamin A. Combine it with white yams and you have a really healthy baby food recipe. The spinach provides much of the nutrition, while the yams help to sweeten it up, making it more appetizing to your little one. The recipe can be found here. It is a little harder to make than the other recipes featured, but it’s well worth the effort every now and again. If your baby is quite fussy with what they will and won’t eat, this is the recipe for you. Most babies LOVE the taste of mangoes and bananas and when they’re blended together into a super-smooth consistency, it’s sure to go down a treat. Check out the recipe here. Just make sure the mango you use is ripe. As well as containing Vitamins A and C, this recipe also contains something few other baby food recipes do – Vitamin B6. Ok, so this one doesn’t technically require much cooking, but it’s a fantastic food which provides a LOT of protein. Eggs have always been advised against by health experts for babies under 12 months old. However, that has recently been changed to six months. It is still recommended you seek a doctor’s opinion before introducing eggs into your baby’s diet however. Once the egg has been boiled, cut it up into very small chunks which baby can grab and eat as a finger food. If you’d like to try some more elaborate egg baby food recipes, you can find some great ideas here. Chicken is another great source of protein and this delicious recipe is ideal for older babies. It uses heavy cream, apple juice and herbs to provide awesome flavors your little one won’t be able to get enough of. You can find the full recipe here. It may contain a few more ingredients than the other recipes on the list, but it’s still just as simple to make. As you can see, there’s a wide range of different recipes you can try out. So, no matter what your baby’s preferences, there’s sure to be something to suit it. Just remember, when trying any new foods, it’s best to just offer a couple of spoonful’s to start with (unless they love it of course!). It is worth noting that before you do try out any homemade baby food recipes you find online, you should make sure they’re suitable for your baby’s age group. Some ingredients shouldn’t be fed to younger babies so this is something you’ll need to look out for. You are so right, cmoneyspinner. When you make your own baby food, you know exactly what’s in it, and it will surely be free from preservatives/chemicals. That is why homemade baby foods are truly beneficial for babies, and one is assured the baby is getting proper nutrition. Sometimes though, limited living space and work prevent other moms from doing this, so grabbing packed foods are more convenient for them. We have been making homemade baby food for our boy as much as possible. I do admit that on some occasions we use the pre-made bought kind but I always make sure that it’s the best quality to ensure that it doesn’t contain bad things. It’s just hard sometimes when you have a limited amount of time. Yes, Jane, sometimes we really do not have the time to cook or prepare food for the baby so grabbing a bottle or two of baby food from the supermarket is a practical thing. And you’re right to be conscious about what constitutes the packed baby food. Keep it up! My toddler loves puree so much that he wants to eat it everyday. I don’t really have that much time to do research about recipes and this article is amazing! Looks like you wouldn’t have difficulty feeding your baby AlexJPro because he seems to like food. That is rare so you’re really lucky. We’re glad to be of help! We hope you you get to try all of the recipes in this article. My sister has two kids. One day I saw her struggling to feed her baby. I felt that the kids are nor enjoying the taste of food. I suggested her to make her own baby food instead of buying baby foods. I gave her couple of tips. 1. break an egg and mix it well in milk. heat the milk in the fire all the while stirring the mixture. Add honey to give the food sweet flavor. 3. Grind mango, apple or banana and puree. Here kids liked these foods so much that are eating these foods since 6 years. Bless you for sharing these recipes, vinaya. It was very thoughtful of you to help out your sister. I’m sure there were no more struggles with baby feeding after you shared these to her. This is the reason why it’s always better to go for homemade baby foods — you know what goes into it and you can taste test it before feeding the baby. Honestly, you’re doing a wonderful blog with the articles you write every time. For parents, making the baby’s food is going to save them some cost of having to spend extra money in buying the food from the market or baby shops. Also, by making these meals at home, it can go a long way in helping to keep the baby healthy simply because the mom has taken time to prepare those meals herself. Awesome baby foods that every mother should try out and save some money. This blog reminded me of the recipe my mom used to make when I was a baby. She told me about her mashed pumpkin recipe with a little bit of sugar and butter. I tried it and it really tastes good. I like the recipes you suggested as well. Mango and banana puree is my favorite among them all. I can imagine how nice this fruit combination can be. I prefer doing this than to buy artificially made baby foods in the supermarket. Hopefully my future baby will like this. Thanks for sharing this. I’ll take note of this and definitely give it a try. I’ll make a shake for myself and the puree for the baby. 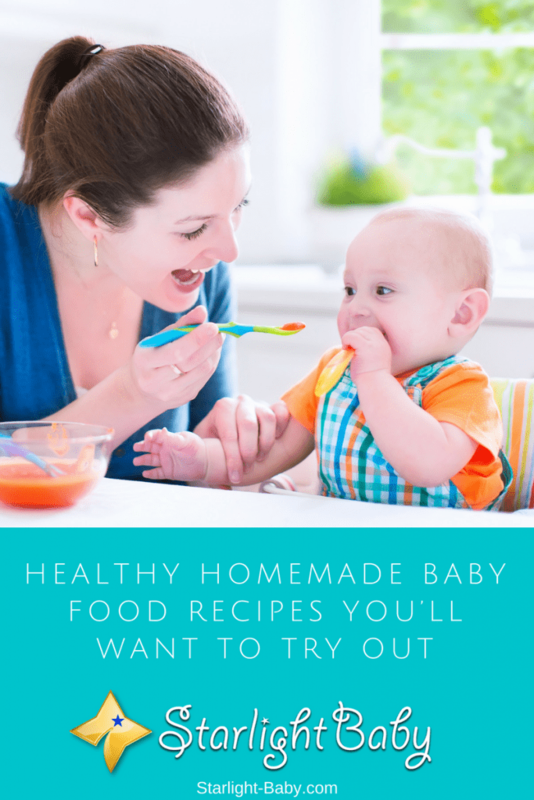 Personally, I would be honest with you, I’m not very good in making a baby food but with these recipes that you just outlined here, definitely be giving it a trail and see how it goes. If I’m good with it, then I would probably improve on doing it more often. If it’s feeding the baby, I’m practically good at that. In fact, it gives me joy feeding a baby, with the looks in its eyes while eating the food, it soothes my mind. About baby oats and prunes, I really don’t understand how rice can be hazardous. I like the recipe for carrot and yam since this items are easy to get at my local market. Also, making this puree for the baby won’t be hard. Spinach and yams are really good especially spinach since it is a good source of iron. Mangoes and bananas are so easy to make. I remember my mum feeding my small sister. I don’t know it you have noticed, parents are always overjoyed whenever they have their babies eating well and in good health. The recipes provided here are quite good, and I think that if well prepared most kids would enjoy eating a whole lot of it. Although it should be noted that there are certain kids that lack the appetite to eat much, they shouldn’t be forced to eat more than they could manage, otherwise they might have indigestion and constipation. Good article I must say. This information are really helpful for mothers and parents in general. Its funny how we bypass little things whicfail ght make a dufference in a life’s health. This tips are just things that are around us but we fail to see their importance.